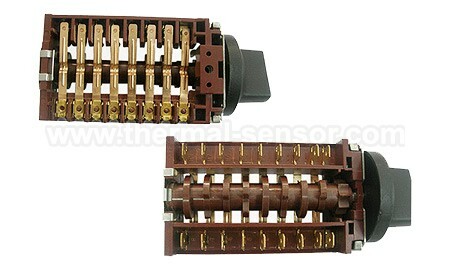 Oven Rotary Switch, China Cooker Thermostat with Rotary Switch manufacturer. Cooker Thermostat with Rotary Switch has function of regulating the shelf location. Used in oven, plate hob, household appliances, mechanical equipment, etc. Oven Rotary Switch(Cooker Thermostat with Rotary Switch ) has been presented above, want more related products, please click the category below.